At ServersCheck, Amazon AWS is the infrastructure provider for our Cloud Platform. For our own monitoring we wanted to integrate Amazon CloudWatch data in the monitoring so that our engineers can monitor our entire infrastructure from one single application. 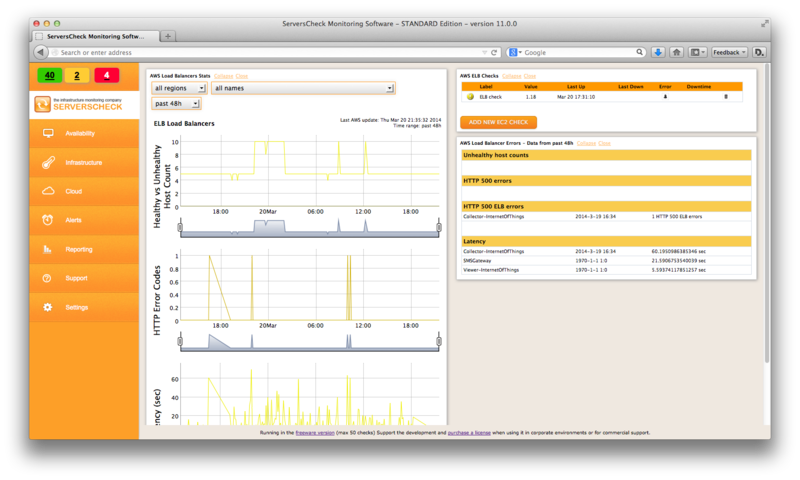 That's how the Iaas / PaaS feature was created and is now part of the ServersCheck Monitoring Software. AWS monitoring is easy as 1-2-3: simply provide a read only Access & Secret key for your Amazon AWS account and the data collection starts automatically. 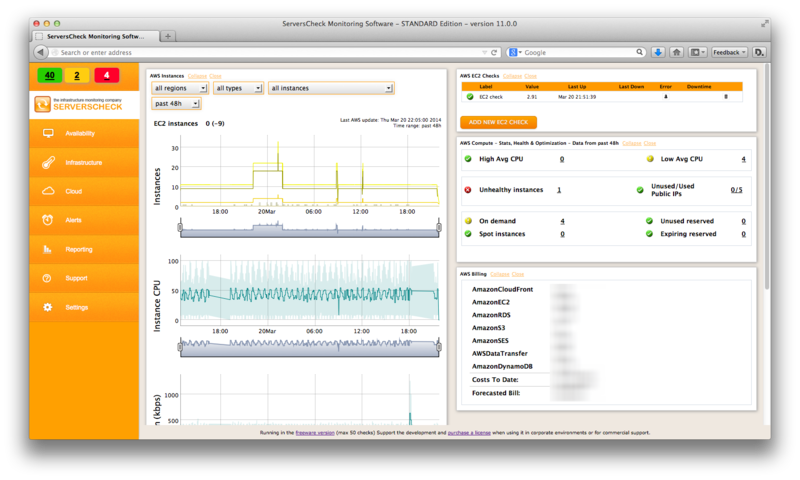 You can define alerts on any of the EC2, ELB or RDS metrics collected by the software. 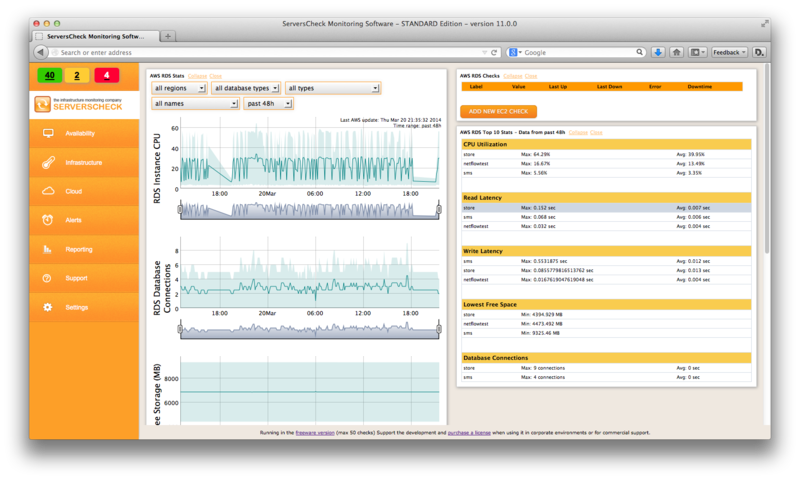 The software monitors the number of EC2 instances, their health, CPU utilization, network data in & out. The load balancers are monitored for their health, http errors (500 codes) and the latency. This option monitors your relational databases hosted by Amazon. It will report the CPU of the database servers, the number of connections, the free storage, read & write latency. The software will report your month-to-date Amazon AWS costs and the forecasted monthly bill. It also checks for potential savings and will show where costs can be optimized.